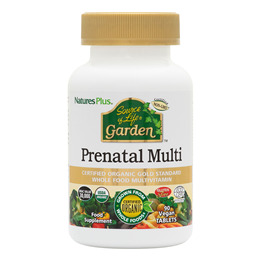 Source of Life Garden Organic Prenatal Multi is your comprehensive natural supplement for all phases of pregnancy. With the wholesome organically grown, essential vitamins and minerals necessary for reproductive health, conception, fetal health and healthy lactation, Source of Life Garden Organic Prenatal Multi can help to overcome the challenges of pregnancy. Bulking agent (tapioca dextrose)*, Certified Organic Whole Food Blend, Algas calcareas*, sweetener (brown rice sweetener)*, Certified Organic Prenatal Botanicals, rice protein*, iron citrate, cholecalciferol, niacinamide, pyridoxine hydrochloride, menaquinone-7, bulking agent (potato starch)*, calcium pantothenate, manganese sulphate, methylcobalamin, glazing agent (blend of tapioca maltodextrin*, sunflower lecitin*, palm oil*, guar gum*). *Organic. Below are reviews of Source of Life Garden Organic Prenatal Multi - 90 Tablets by bodykind customers. If you have tried this product we'd love to hear what you think so please leave a review. 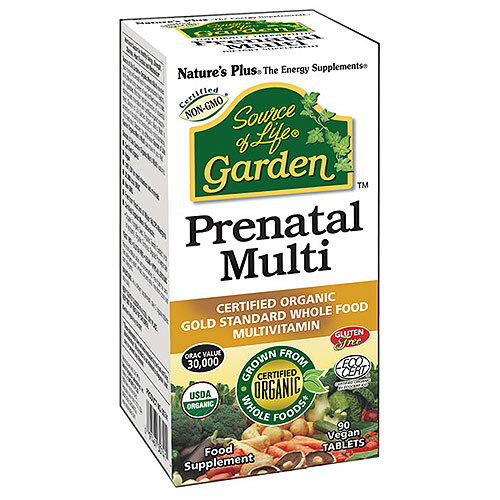 Source of Life Garden Organic Prenatal Multi is your comprehensive natural supplement for all phases of pregnancy.